If you've ever dreamed of visiting the crystal-clear waters of the Mediterranean Sea, you won't want to miss these details! 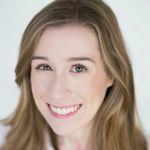 If you've ever dreamed of visiting the crystal-clear waters of the Mediterranean Sea, then you won't want to miss this inspiration from Texas-based photographer Stacy Anderson. 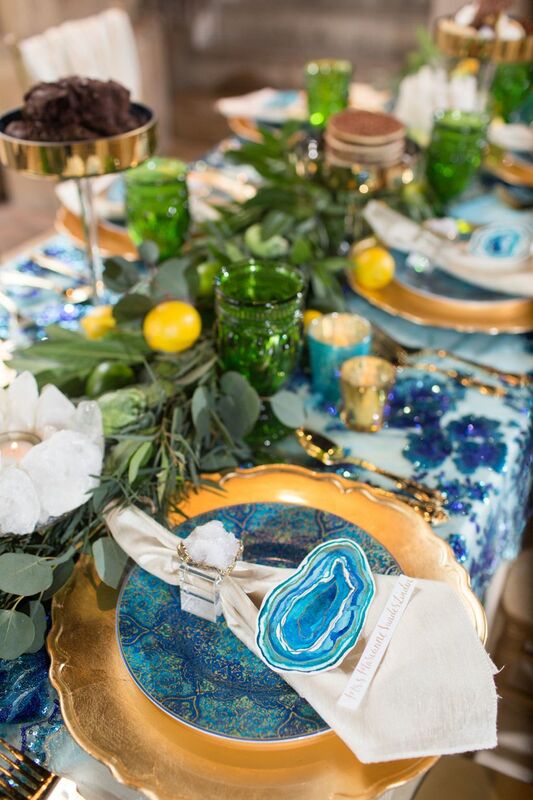 Inspired by the beauty of Greece, Italy, Spain, and Morocco, Anderson and her vendor team pulled together to create a styled shoot filled with lush greenery, an inviting tablescape, and one amazing geode wedding cake that we can't stop gushing about! 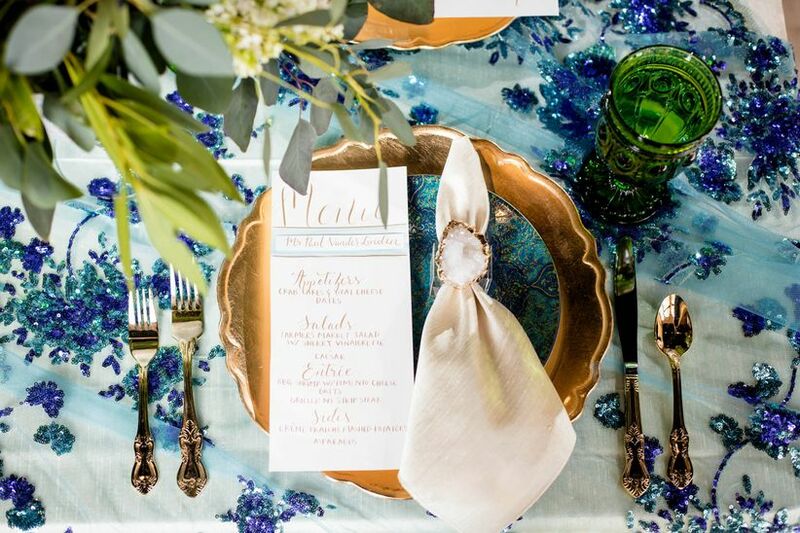 See all of the amazing details here. 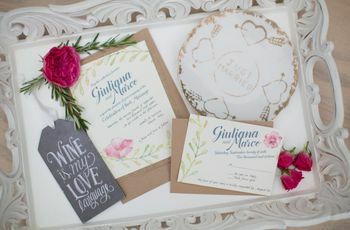 The invitation suite featured muted blue tones, whimsical gold calligraphy, and watercolor accents. So pretty! 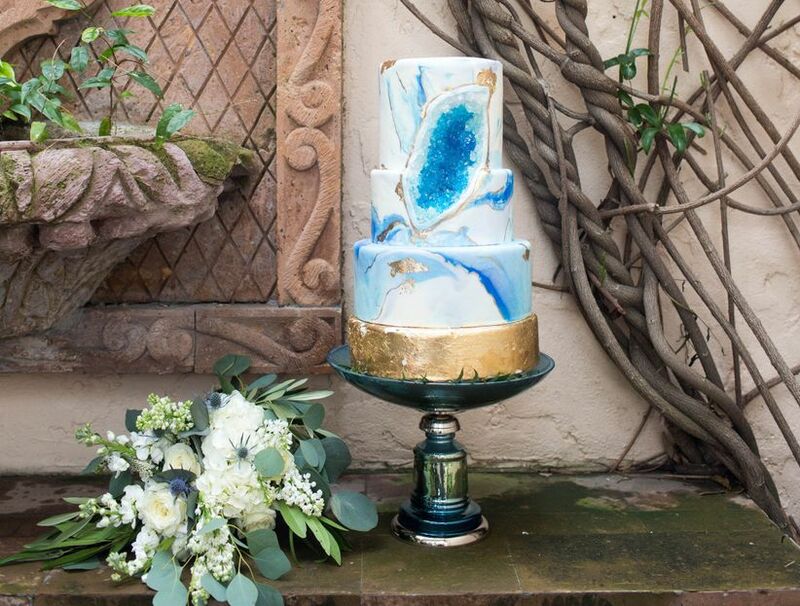 "The main event, of course, was the cake made by Shazdeh Cakes," Anderson said. 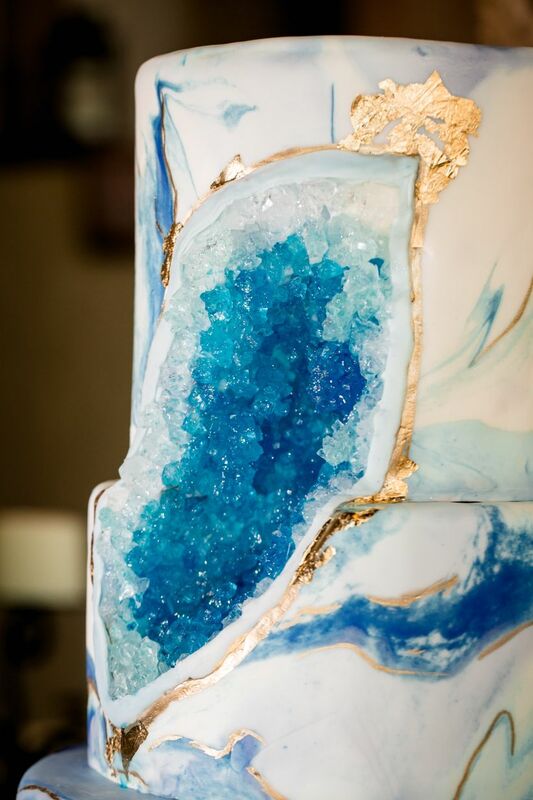 "Her showstopping geode cake took the look over-the-top with its glistening crystals and gold flakes." Trend alert! 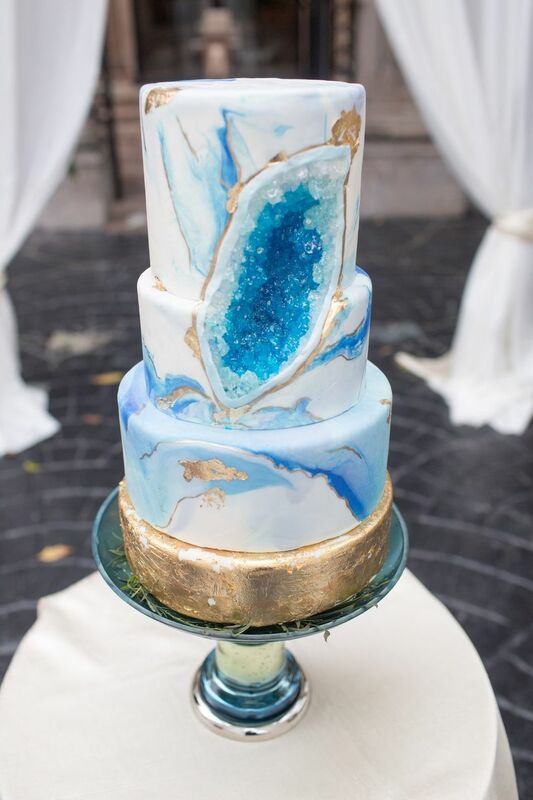 Geode wedding cakes are one of our favorite up-and-coming details. Can you believe this is made from sugar? 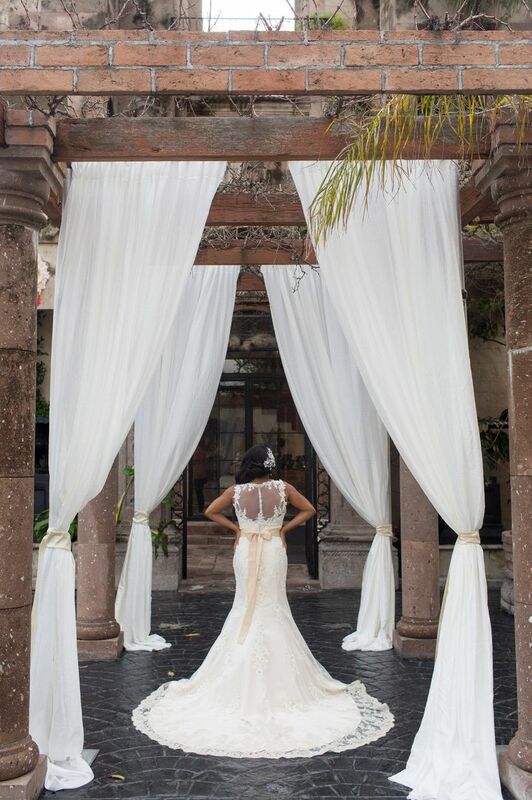 "The moment I stepped into Las Velas, I knew it was the place we had to do our photo shoot," Anderson said. 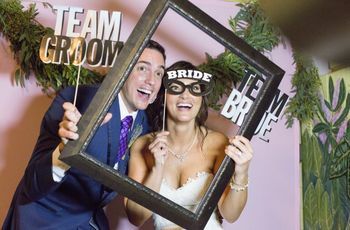 "It all came together quite organically." 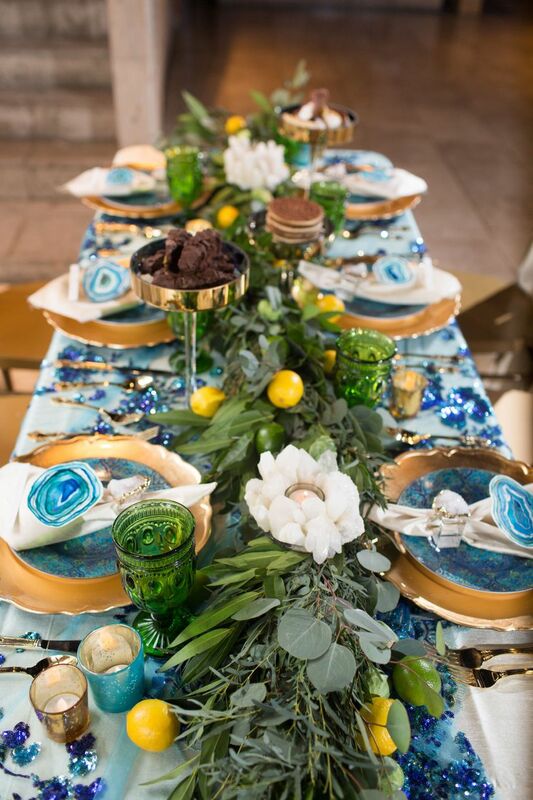 The tablescape included a sequined tablecloth, patterned china and gold charger plates for a splash of shimmer. 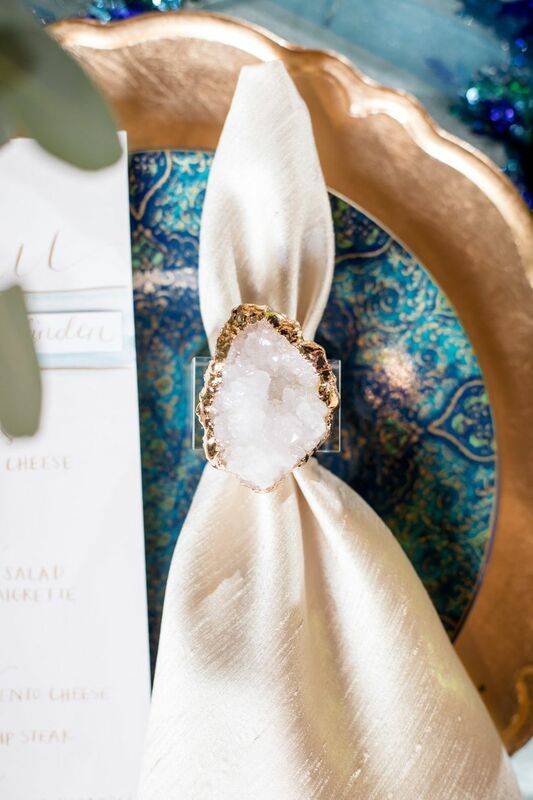 Geode napkin rings pulled the look together. 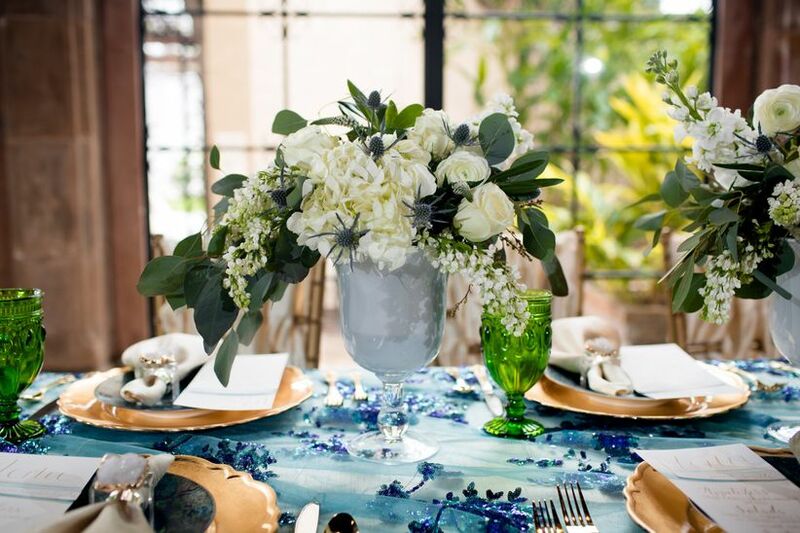 Glassware in soft blue and green hues added an ocean-inspired vibe to the table. 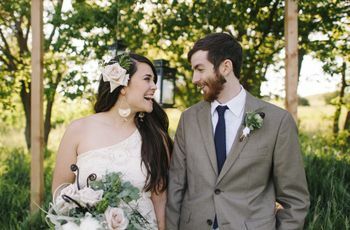 "Amanda Bee's Floral Designs did a spectacular job on the florals," Anderson said. 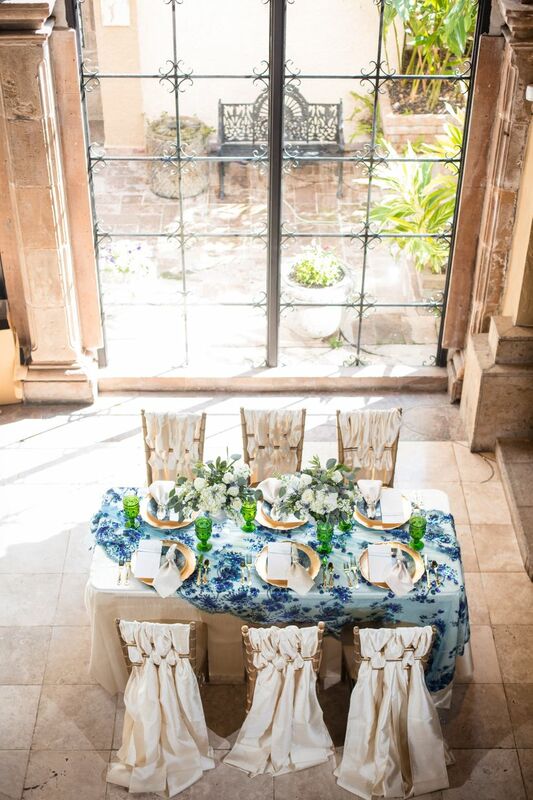 "The table runner of greenery is everything!" 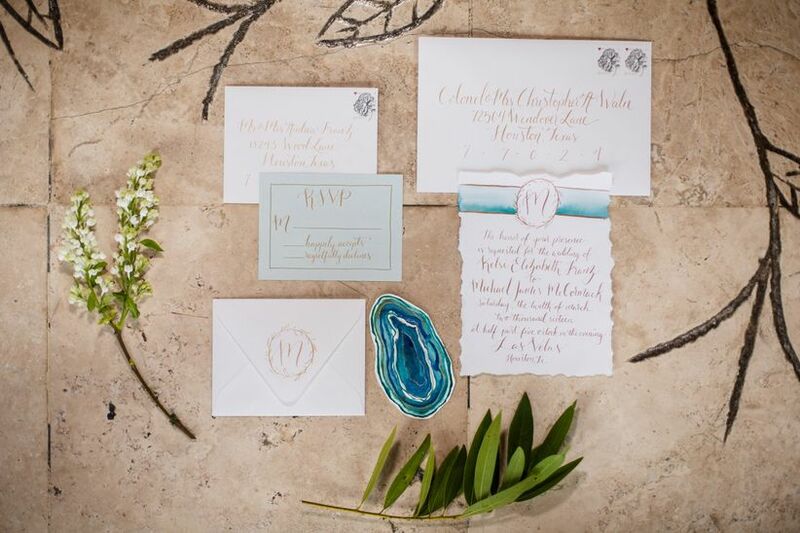 Watercolor place cards were painted to look like agate slices. 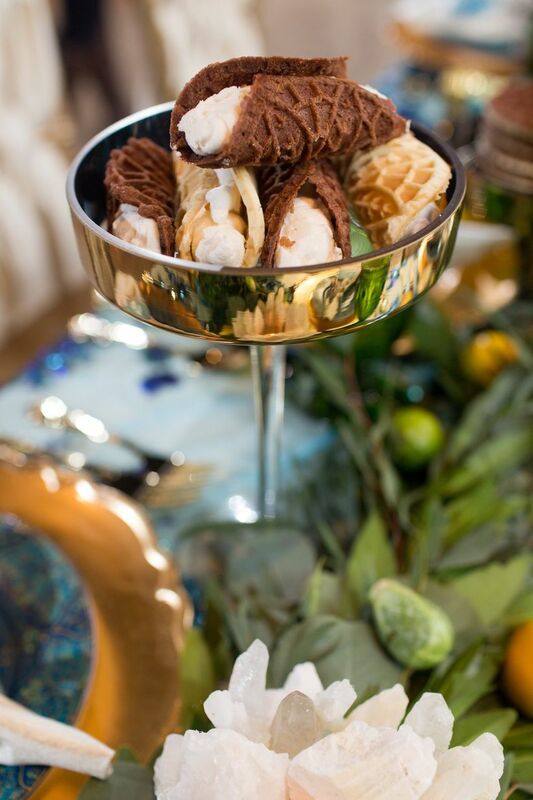 Other sweet treats, including miniature cannolis, pizzelle cookies, and chocolate pistatchio biscotti, were provided by Sweet Hazel's Sweets. 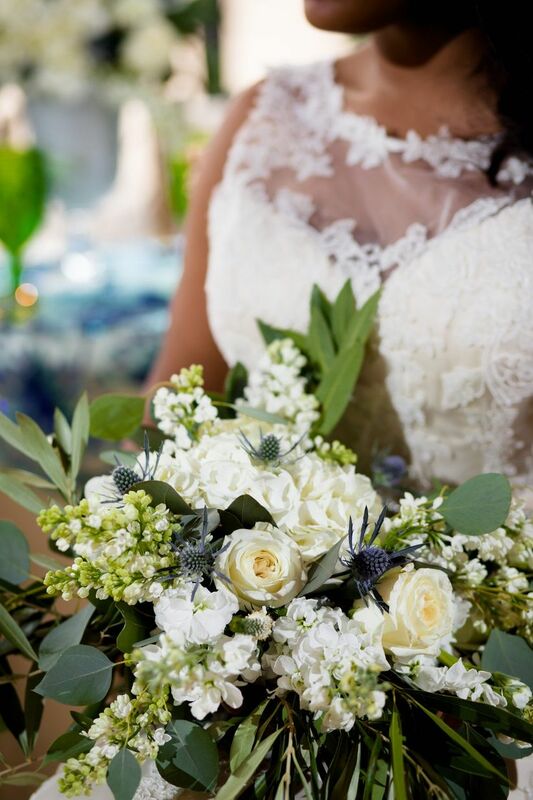 The bridal bouquet was overflowing with roses, stock, blue thistle, bay leaves, and silver dollar eucalyptus. 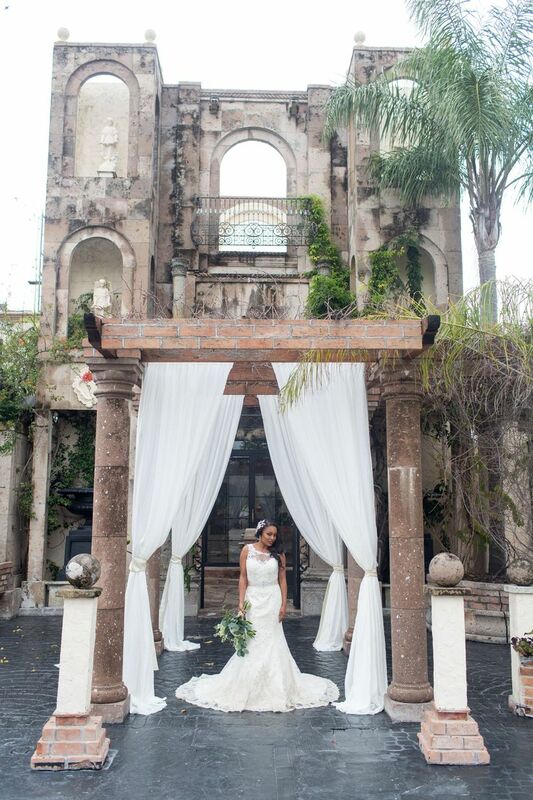 How stunning is this venue? 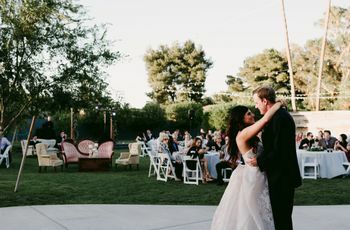 The bride's romantic lace gown featured an illusion back and beaded ivory sash. 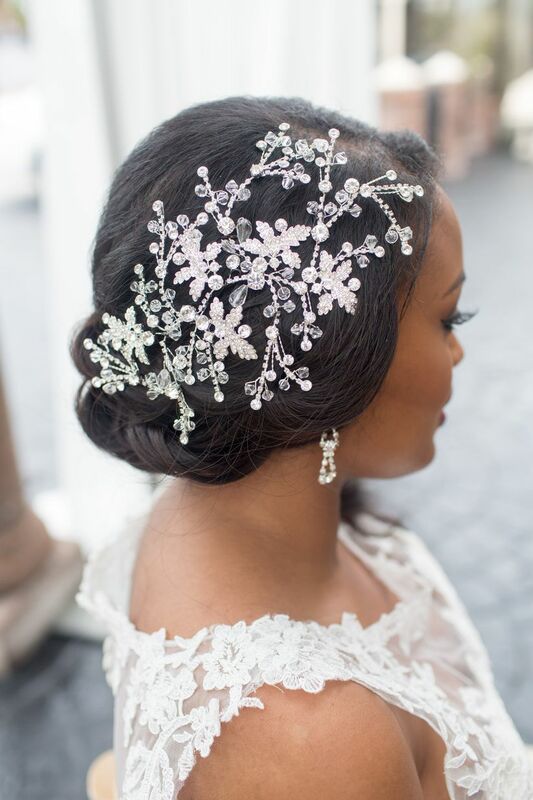 She finished the look with a sideswept hairstyle and a glamorous beaded accessory.